Apple has started to sell servers from video software production hardware provider LumaForge through its retail channels, with three servers from the range now available to purchase by filmmakers and video editing firms via the Mac producer. LumaForge produces servers for video production, combining high-capacity video storage systems with its own Jellyfish software to create a plug-and-play management solution. The servers are compatible with many video production tools including Apple’s Final Cut Pro X, Adobe Premiere and Blackmagic Design’s DaVinci Resolve, covering the vast majority of professional video editing systems. The company said its servers and software are being used at more than 200 companies, including Activision, Adobe, BBC, CBS Interactive, Disney, Google, NASA, Pandora, Reuters, Sony and WeWork. Capable of handling 4K content and offering RAID-based protection of stored files, the servers can be connected to a Mac directly using a standard gigabit or 10-gigabit cable without needing a switch or other networking equipment, as well as via a more conventional network. Once connected, the Jellyfish Desktop App for macOS automatically completes the set-up process for users, with the unit preconfigured to work straight out of the box if required. According to Appleinsider, an Apple website, there are currently three LumaForge servers available. The LumaForge Jellyfish Mobile 4K Shared Storage Solution is seemingly ideal for on-the-set collaboration, with four 10-gigabit and four one-gigabit connections and 2,300MBps of bandwidth. Prices start from $11,995.95 for the 32-terabyte model, rising to $19,995.95 for the 80-terabyte version. A second option, the $39,995.95 120-terabyte Jellyfish Tower 4K Shared Storage Solution, offers eight each of the 10-gigabit and 1-gigabit network connections and up to 4,400Mbps of bandwidth, all in a tower case. 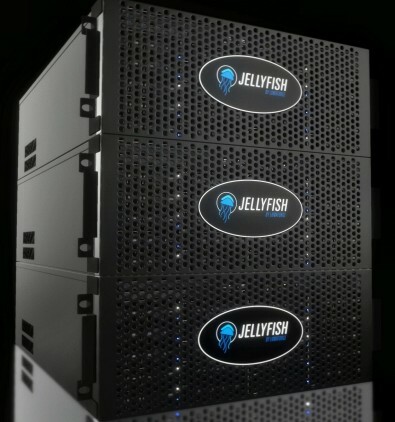 An similar model, the Jellyfish Rack 4K, also costs $39,995.95 and has identical specifications to the Tower, but is designed to be rack-mounted alongside other network hardware. At the same time as the servers going on sale through Apple, LumaForge announced it had received a "significant financial investment" from Steve Bayes, former Apple senior product manager and an expert in video editing. Bayes will join the company's newly-formed Board of Advisors. "LumaForge has built the best storage product in the marketplace for editors who need to work in a collaborative environment," said Bayes. "Their commitment to the professional community and laser focus on delivering solutions was key in my decision to become an investor and advisor." Bayes joined Apple as the senior product manager for Final Cut Pro in 2006, leading the development and marketing for the editing tool, helping the software reach almost 50 percent of the professional video market in less than two years. He also assisted Apple in directing the marketing and release of Apple's video formats Pro Res and Pro Res RAW, which have become recording and broadcast standards. 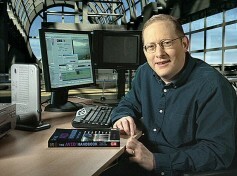 Bayes retired from Apple in July 2018, but continues to consult and advise on film and video technologies.